ANGUS McINTYRE was born in London and has lived in Edinburgh, Milan, Brussels and Paris before eventually finding his way to New York, where he now lives and works. A graduate of the 2013 Clarion Writer's Workshop, his short fiction has been published in numerous anthologies and on BoingBoing. His background in computational and evolutionary linguistics and in artificial intelligence has given him a healthy respect for positive feedback loops and a certain curiosity about what it might be like to live in a universe filled with intelligent machines. His hobbies include travel and photography. 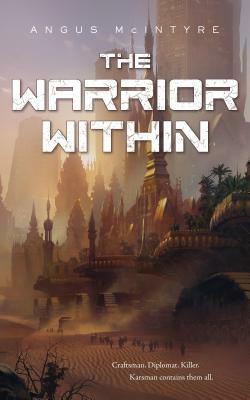 His first published book is The Warrior Within.